New Middlesbrough boss Tony Pulis watched from the stands as his side continued a good Christmas run by defeating Bolton Wanderers at the Riverside Stadium. Pulis was named as manager before the game - replacing Garry Monk who was sacked after an away win at Sheffield Wednesday on Saturday, a fixture that was notable because both managers were shown the door in the immediate aftermath. 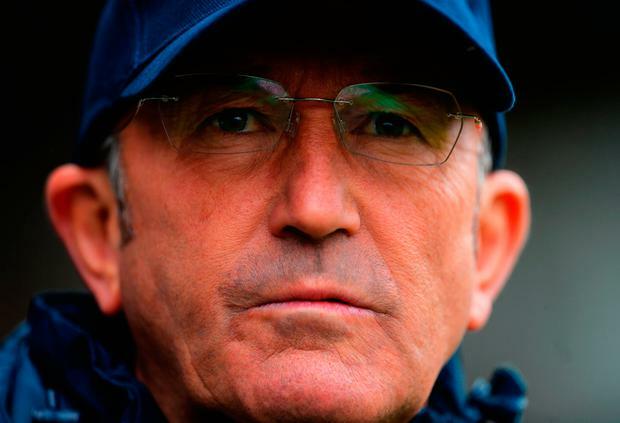 "I'm not going to turn water into wine," warned Pulis. "There are problems, and there have been problems here. It's just about finding out what they are. "The best thing we can do is get this club winning again, get the team winning, and get back in the Premier League, but that does take time." Middlesbrough were the pre-season promotion favourites and they are now just three points off the play-off places after back-to-back victories. Their performances are of Irish interest with Darren Randolph and Cyrus Christie both part of the summer recruitment drive that led to increased expectations. They were involved in the success against a struggling Bolton side. Wednesday bounced back from their weekend change at the top to shock Nottingham Forest at the City Ground with a 3-0 success under caretaker boss Lee Bullen. Keiren Westwood was unavailable due to his ongoing injury problems. Leaders Wolves dropped points away to Millwall in a lively 2-2 draw but they ended up extending their advantage at the top of the table as Cardiff, their closest pursuers at the start of the day, were taken apart by Fulham. Bristol City duly moved into second spot on goal difference after getting the better of Reading. Leeds United are just five points off the automatic places following a victorious trip to Burton Albion with Eunan O'Kane centrally involved. Mick McCarthy's Ipswich missed out on the chance to move closer to contention by playing out a scoreless draw with QPR at Portman Road. There were also no goals at Barnsley where Daryl Horgan made his first league start of the season for Preston who sit ninth after firing a blank. But that was one of two Championship games where the listing of the substitutes offered good Irish news. Greg Cunningham has been on the sidelines since sustaining a knee injury in August but was deemed fit enough for a place on the bench. And after 626 days out from the horror leg break that ended his Euro 2016 dream and scuppered a Premier League move, Alan Judge was on the bench for Brentford in last night's 2-1 victory over Aston Villa.